This session will familiarize attendees with the latest developments in technology policy affecting people with disabilities. 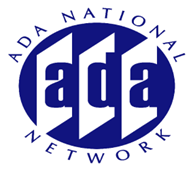 Specifically, session attendees will gain a greater understanding of the landmark Twenty-First Century Communications and Video Accessibility Act (CVAA) and its impact on the usability of telecommunications and video programming technologies. The session will also briefly explore the linkages and overlapping policy concerns of the CVAA and other laws, such as the Americans with Disabilities Act (ADA) and copyright law. The session will provide attendees with practical advice on how people with disabilities can make use of complaint and other processes to advocate and ensure accessibility. The goal of this session is to raise awareness of the new rights and requirements now available under the law and to encourage their use to promote change in technology industry behavior.